Mayonnaise dressing (water, expeller pressed canola oil, modified food starch, distilled vinegar, soy protein, apple cider vinegar, non fat dry milk, lemon juice concentrate, onion powder, xanthan gum, vitamin E, natural flavor, mustard oil, paprika), nonfat milk (fat free milk, vitamin A palmitate, vitamin d3), red wine vinegar (contains sulfites), cilantro, pasilla chile, garlic, cojita cheese (cultured pasteurized milk, skim milk, sea salt, enzymes), pumpkin seeds [natural soybean oil (refined), salt, wheat flour, pepitas], xanthan gum. 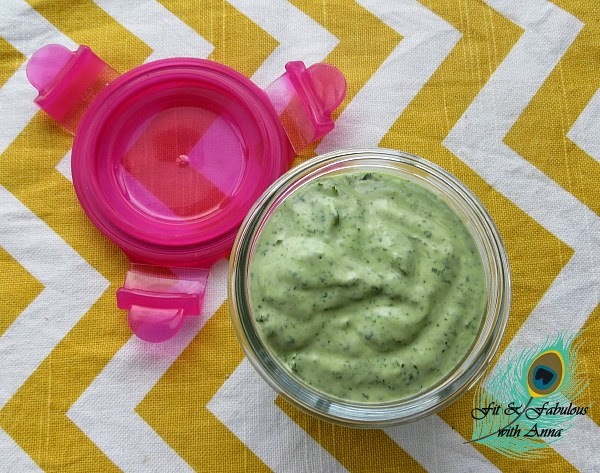 I stored my dressing in my Wean Green glass food storage container. It's not as thick as it looks. Combing the cilantro, yogurt, garlic, lime and salt in a food processor. Autumn Blossom Pencil Skirt - is very form fitting but super pretty! Tiny Floral Piped Shirtdress - there's a reason it's called tiny! I'm 5'6 and this dress is too short for the office. Also it's a very thin material so it shows every bulge you have underneath. Floral Bud Utility Blouse - I'm definitely getting this! Easy Tee - It's a very loose and too long. Autumn Bloom Cotton Cardigan - I love the pattern and color but not sure how much wear I would get out of it? I was surprised to find pretty multi-colored Mirrored Aviator Style Sunglasses. The website picture doesn't do it justice. 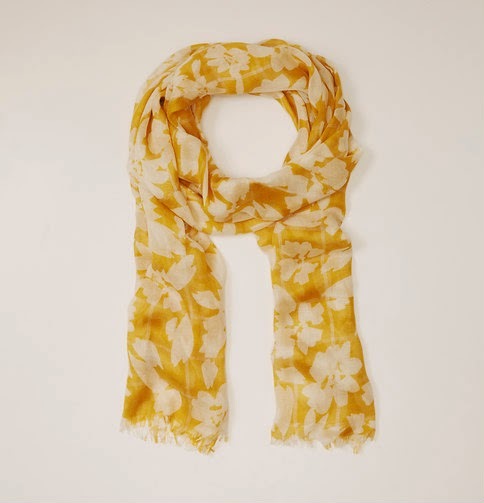 A matching Autumn Blossom Scarf. With my blonde hair I'm a sucker for yellow scarves. It's cherry season now and to be honest cherries aren't something I usually buy, just too much of a hassle to eat. 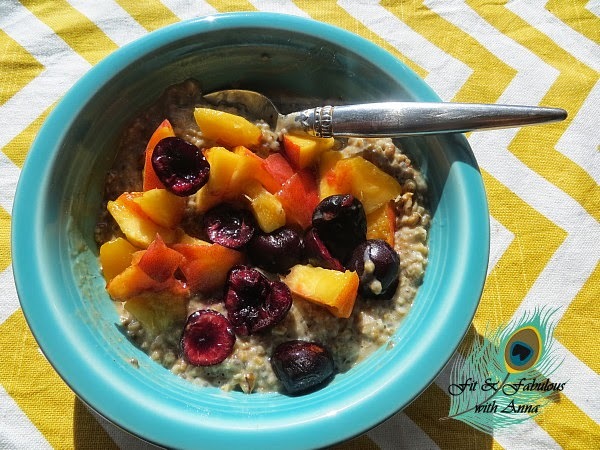 But then I added them pitted to my oatmeal and am really enjoying them! Bring milk to boil on the stove. Then add the the oats and reduce heat. Cook for about 15 minutes. Transfer to a bowl and add the yacon syrup and top with peaches and cherries. You may add additional toppings like shredded coconut, shivered almonds, or walnut pieces. I've been a loyal MAC Cosmetics user since high school, anything cheap I'd turn my nose up on. 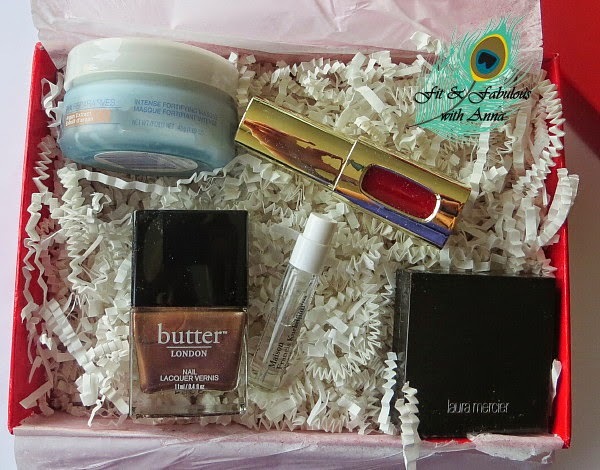 But I decided to give some budget beauty products a try! I heard that NYX Cosmetics was having a 40% off sale for the 4th of July holiday and free shipping for orders over $25. The company is named after the Greek Goddess NYX (goddess of the night) and their products are 100% cruelty-free and PETA certified. Their products are very affordable and can be found at CVS, Bed Bath &Beyond, Urban Outfitters and Target. For $28.80 I got 6 products and free shipping! So I finally got a brush cleanser as I was always too cheap to spend money on that. If you read my blog regularly you know I enjoy reading books. Here's a link to all of my past book posts. This summer my reading list has a wanderlust theme of stories that talk about travel adventures. 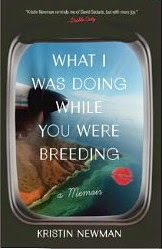 One book is on Oprah's reading list, I've always enjoyed her selections! Two books are coming out as movies this year and so I want to hurry up and read them before they hit the theaters because you get so many more details in the book. Here's the books I've downloaded to my kindle or put on hold at my library. I've finally learned how to get digital books from my library! Did you know that you can lend e-books to your friends, amazon explains how it works. 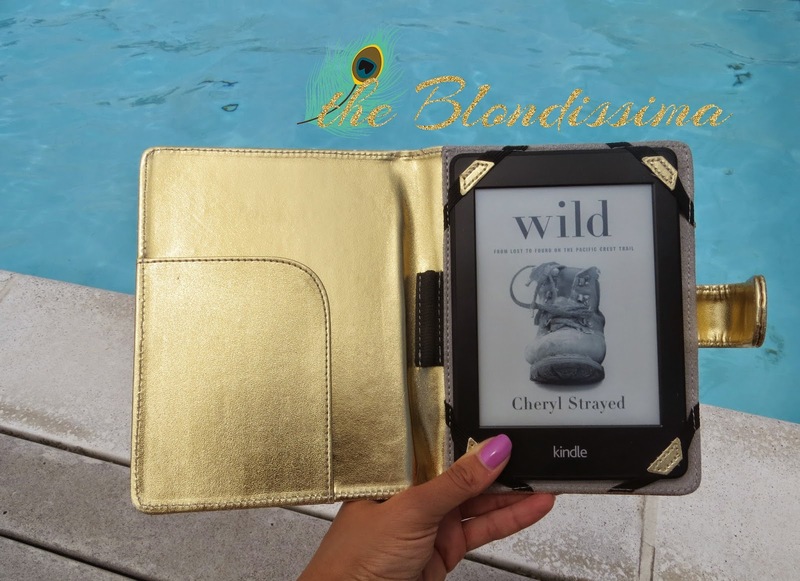 Wild is the memoir of 26 year old Cheryl Strayed who details her 1,000 mile solo hike along the Pacific Coast Trail to deal with both the loss of her mother and filing for divorce. Reese Witherspoon is starring in the movie adaptation coming out in December. I started reading it this weekend and haven't been able to put it down. Cheryl is a very articulate writer and the book is about soul searching and having the guts to overcome something in her life. This is a woman who was flat broke, had so many dysfunctions in her life, is so brutally honest about her weaknesses yet funny at the same time. The book is not about backpacking nor a trail guide, it's a story of an ill-prepared woman trekking alone, with no electronics in 1995, hiking at night with no lamp posts, when she had never backpacked before. She didn't practice for this hike, including not trying on her backpack to see if it might be too heavy. lol She hikes with sore feet on a healing journey. I found myself googling pictures of the Mojave Desert so I can picture the terrain. Couple neat facts - upon her divorce she and her ex-husband got matching tattoos and she gave herself the last name Strayed. 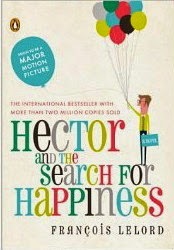 Hector and the Search for Happiness by Francois Lelord Lelord is French psychiatrist who had a number of patients who were unhappy for no apparent reason, he was finding it more of a strain and made him tired. So he wrote a fictional story of a psychiatrist named Hector who traveled around the world to understand what makes people happy. As he travels from Paris to China to Africa to the United States, he lists his observations about the people he meets and what the secret to happiness is. It's a very small book so I think it will be a quick read. It was a best seller in France then translated to English and the movie adaptation comes out in September starring Toni Collette. In answer to the question of what happened following her New York Times bestseller Kabul Beauty School, Deborah Rodriquez is back with a new memoir. 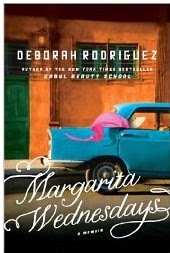 She's an American who decided to move to a seaside town in Mexico despite having no plan, no friends, and no Spanish. This book is about her adventures and misadventures that ensue. This is written by a first time author and just published on July 1, 2014. 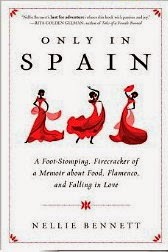 It's the memoir of an Australian who worked retail but decided to move to Spain to take flamenco lessons. This intrigued me since I visited Spain last year. Another new book by a first time author just published in May 2014. It's a memoir of a young woman who traveled the world, often alone, for several weeks each year and shares her hilarious stories from Paris, Amsterdan, Moscow Buenos Aires, Rio de Janeiro, New Zealand, Iceland, Tel Aviv and just about everywhere in between. After nine months I finally cancelled my Ipsy monthly subscription which I kept for way too long. I switched to Sample Society which is a monthly beauty subscription from BeautyBar.com and Allure magazine. 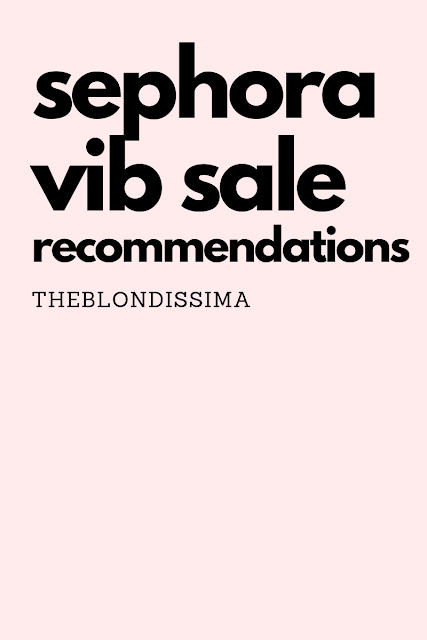 It's made of generous sample sizes from high end brands, more up my speed! It comes in a glossy red box with a mini magazine (not pictured) with info on the products included. This month I got a full size Butter London nail polish in a pretty penny copper color which is worth $15. I paid $15 for this box and received about $45 worth of product, so I'm thrilled with that and definitely think the box is worth it and I plan on using everything. perfrume sample of Maison Francis Kurkdjian Paris Aqua Universalis which smells amazing! Excludes existing customers of BeautyBar.com, Bookworm.com, Look.com or other Quidsi sites. Restrictions apply. 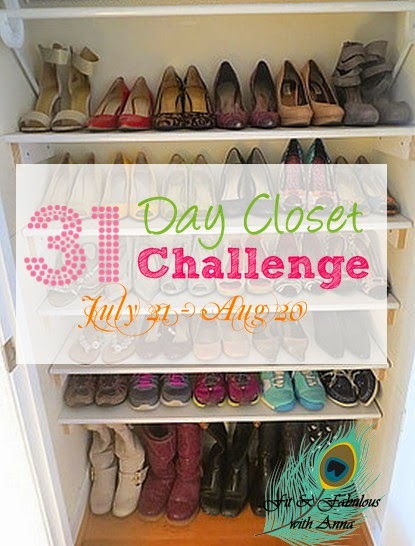 I'm really excited to be participating in the 31 Day Closet Challenge. I've been reading several blogs that have participated in this challenge and have really enjoyed reading their content. As I have been working to reduce clutter in my home and in my life, I thought I also needed to get my closet in shape. The goal is to not repeat an item of clothing for 31 days. 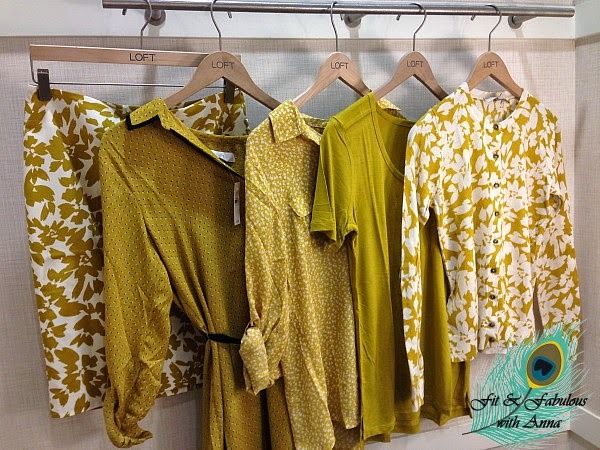 Have you ever looked at your closet and been overwhelmed by what to wear in the morning? Well that's me! I feel like I wear the same things over and over again to work when I have an overflowing closet full of clothes I forget I own. It's already mid-summer, so I just want to give you a little motivation to get your July looking stylish. My goal is to spend the month wearing all of my dresses paired with a necklace. And to not buy any clothes for the next 31 days. I just read a really interesting article in the August issue of ELLE magazine called Goodbye To All That which is about dressing in your 30s. I really related to the author who was trying to redefine herself with her wardrobe and get rid of the pieces she bought when she was in her 20s. For me I want my wardrobe to be more "officey" with stylish dresses. I tend to wear a lot of pants to the office then feel frumpy when I know that's not my fashion personality at all. I'm sure you've heard the saying "Dress for the job you want, not for the job you have." I've decided that my work wardrobe is way more important than my weekend clothes since I spend more days at work, so I try not to buy pieces that can't be worn to work. 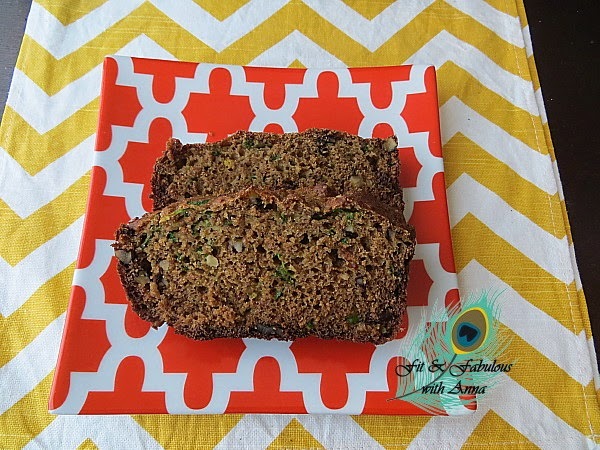 My co-worked brought some home made zucchini bread to work and it reminded me that I hadn't had it in a long time! Her bread didn't have any extras (walnuts, raisins, chocolate) so it tasted a bit plain. So sought out to find a no sugar no oil recipe to make myself! I used Spelt flour because unlike wheat flour, it's richer in nutrients in that it's high in protein and fiber and added minerals. 1. Preheat oven to 350F. Oil a regular-sized loaf pan. 2. In a large bowl, whisk the dry ingredients (flour, powders, salt, cinnamon, nutmeg, sugar, raisins, and walnuts). 3. In another large bowl, combine the wet ingredients (egg, shredded zucchini, lemon zest & juice, yogurt). 4. Add wet ingredients to dry and stir until just mixed. Be careful not to overmix the batter as spelt flour is delicate. 5. Spoon the batter into prepared loaf pan and spread out evenly. Bake for 60 minutes at 350F or until toothpick comes out clean. Cover with foil for part of the baking time. When I was in Santa Monica I forgot to wear sunblock and went for a 2 hour bike ride. I didn't think it was a big deal since it was only 70 degrees and breezy but my face and arms ended up red as a lobster and my skin seemed to have acquired its own heart beat that evening. This really surprised me because it was cool out and I tan easily. After that I had to use makeup to hide my sunglasses outline on my face. To help make things easier I treated my arms immediately with Aloe Vera gel and my face with coconut oil. Then I made sure to consume foods that would give me beautiful skin from the inside: cucumbers, radishes, hemp seeds, coconut oil. avocado and arugula. I've never eaten radishes before and found them actually to be a bit spicy. 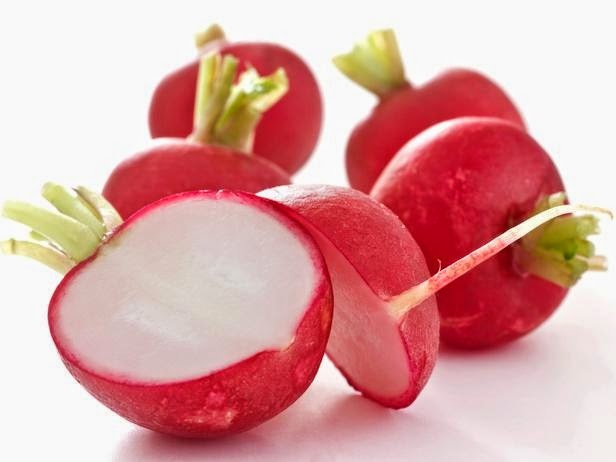 But radishes are a wonderful rejuvenating food for our body as it's high in sulfur, silicon and Vitamin C. The water in radishes help to maintain healthy moisture levels in the skin and decreases excess heat in the body. It's a rejuvenating food in helping in repair better cell production and keeping your skin glowing. Arugula is high in Vitamin A and sulfur and helps to alkalize your body. 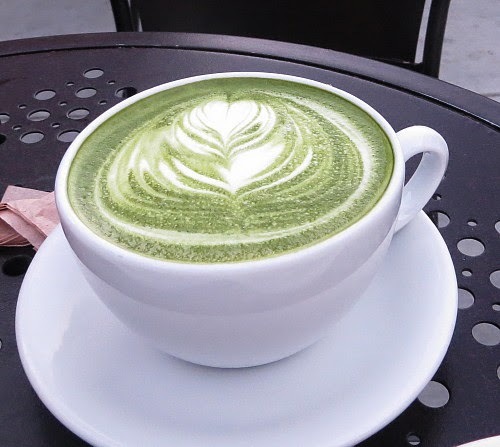 I talked about the benefits of alkalizing foods in this post. 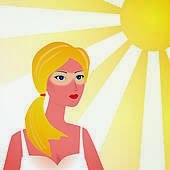 Vitamin A in greens help protect you from skin cancer. Cucumbers are high in silicon and cleanse your body. Two weeks later my skin started to peel so I went to my trusted Clarins After Sun Moisturizer that I've been using since high school. At night I used the H20 Night Oasis which is made of cucumber and seaweed. During the day I rotated between the Malin & Goetz and the Pur-Lisse which are Vitamin E moisturizers. Since I have oily skin I typically only use moisturizers in the winter time, but I found these products prevented my skin from over producing oil from being dried out and my skin stayed clear. I also recently bought myself a new mineral matte sunblock for my face. The last time I came here was right after high school as a graduation gift. 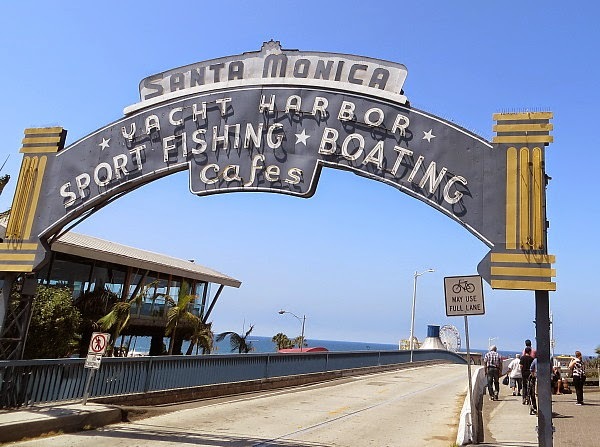 So the minute I saw the pier sign, I was instantly transplanted back to that moment and a broad smile crossed my face. The pier has something for everyone – a trapeze school, funnel cake, an arcade full of video games to play, an amazing balloon clown, you can have your face modeled for a plastered bust, a Zoltar fortune teller machine like in the movie BIG, an aquarium, restaurants, and the iconic ferris wheel amongst many other rides. I had been saving a bookmarked list of things I wanted to see in in LA for the last couple years never thinking I'd ever get out there. 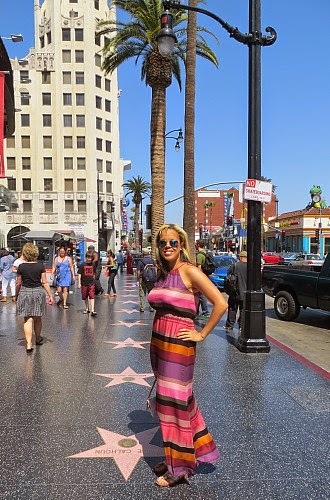 So I was so excited to spend a week in Los Angeles in early June! Everyone I met was nice, easy going and had that sunny laid back Cali vibe. I wanted to wish all my readers a Happy Fourth of July! 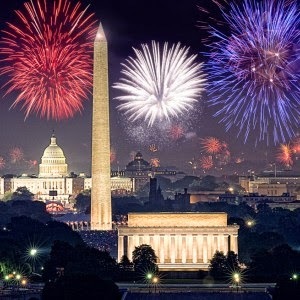 I hope you enjyour yoru 4 day weekend and get a chance to watch the fireworks. 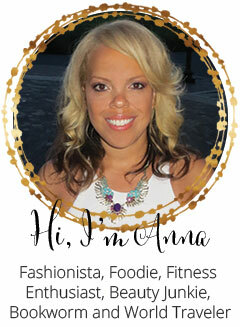 Check out my posts on healthy food and cocktails to enjoy this holiday with. That's the shade of gel nail polish I have on my nails. 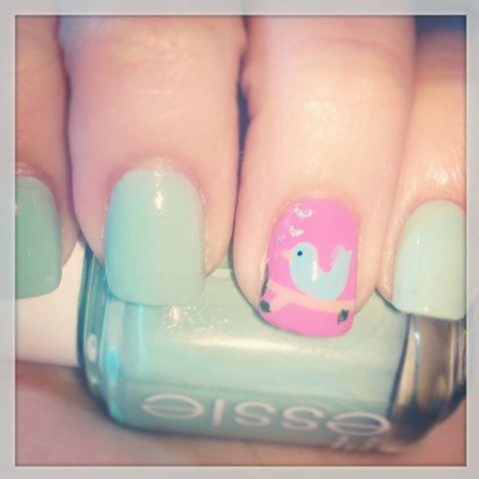 I haven't had gel nails in awhile and forgot I could do designs with them like I did last summer. 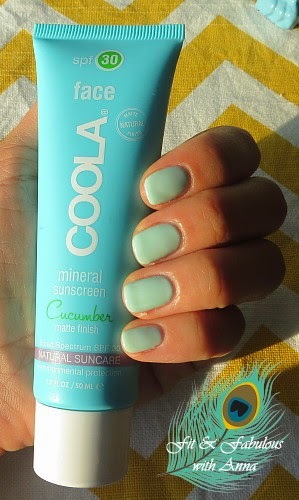 Here's my nails with my new sunblock which by the way is awesome! It's made with some amazing ingredients then goes on matte on my skin. You can read more about it here. Back to my nails, I googled ideas to see how other people wore the same color and just wanted to share with you for inspiration. Right now Zoya is having a deal where you get 3 free nail polishes for just the cost of shipping - $12! If you want to get this mint color get Zoya Neely. Here's a fun article about what your nail polish color says about your personality! Take stock of what you have instead of what’s missing.The best tip I've read to being happy is not to think you'll be happy when you're skinny, rich, married, or buy whatever, but to realize that you can be happy right now by appreciating what you do have instead of always thinking about what you don't have. Don't think about what's missing in your life, think about what really matters. I keep a gratitude journal when I travel and I want to recommend the site Grateful 160 as a great way to maintain a daily gratitude journal for yourself, it's a fantastic way to attract more positive things into your life. The way it works is everyday the website sends you an email asking you what you're thankful for today. So it encourages you to look for positives in everything. At the end of the week it sends you an email with a recap of what you've said. It helps you keep everything in perspective. I talked about negative friends before and wanted to re-emphasize that, don't spend time with people who don't treat you well. Miserable people will drain you. Negative people influence you with their behavior. Surround yourself with people who lift you up, encourage you to be a better person, are there for you and value and cherish you. Exercise - it's been shown to increase serotonin levels in your brain to make you feel good. Cameron Diaz said in her book that being healthy is not a gift, it's a habit. She asks that you trust yourself that you are worth the effort and to believe in yourself. You have to challenge your thoughts to talk to yourself in a positive manner. Don't ruminate on the things that bother you. The more you dwell on something the worse something gets. Focus on what's unique and amazing about you, not what's wrong. If you can't be happy with what you have, how do you know that having xyz will make you happier? Always remember that there are people out there who have less than you and are happy. 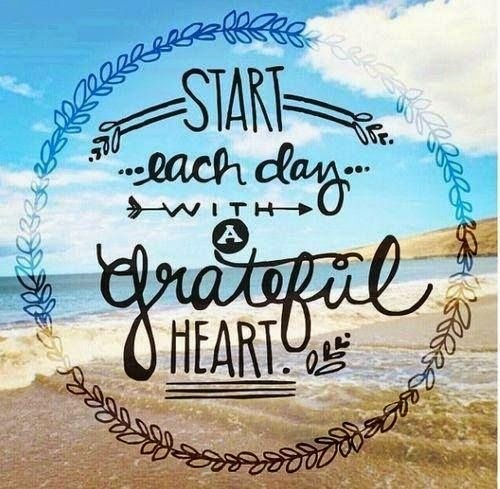 There is always something in your life to be thankful for, you just have to find it. The trick is to enjoy what you have, and stop wishing for what you don't have. So you can stop waiting for tomorrow to be happy and be happy right now!